Xiaomi’s MIUI 9 is official with tons of new features and performance improvement. Image Search, Smart Assistant, Smart App Launcher, and Split Screen Mode are some of the highlights of MIUI 9 update. Xiaomi also shared the Release date and list of Mi & Redmi phones eligible to get MIUI 9 update. 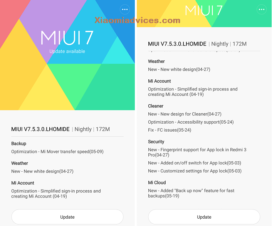 Recently, company announced MIUI 9 beta program where users have the option to experience the latest MIUI skin before its initial stable OTA release. Of all the devices, Redmi Note 4X and Mi 6 are the first devices to get MIUI 9 Beta update. As MIUI 9 is a major upgrade after MIUI 8, many of you might find difficulty in installing on your device. 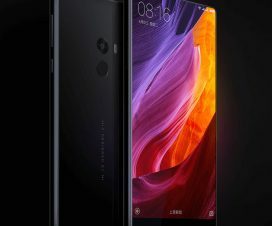 So, here we have shared complete guide on how to Flash MIUI 9 ROM on Xiaomi phones. It works on both Global and China build. The following installation guide make wipe your device data. So, it is advisable to perform backup of all your important data. Installing MIUI 9 ROM via Fastboot mode needs unlocked bootloader. 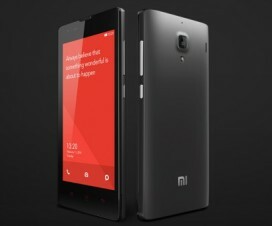 You can follow our guide on how to Unlock Xiaomi bootloader. Make sure the battery level on your mobile is more than 75% to avoid unnecessary power-off between the installation process. 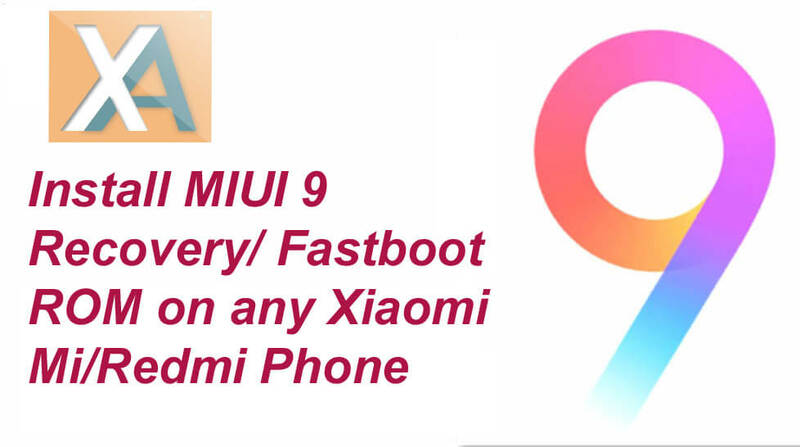 There are two different types of MIUI 9 ROM – Recovery ROM and Fastboot ROM. Recovery ROM can be installed directly through updater app while Fastboot ROM requires special Mi Flash Windows application. Let’s have a look at both MIUI 9 Recovery ROM and Fastboot ROM flashing tutorial. 1. Firstly, ensure your device is on latest MIUI 8 ROM. You can check from the path Settings > About phone > System updates > Check for updates. 2. Now you need to download MIUI 9 ROM file and save it to device storage. 3. Go to App Drawer and launch ‘Updater’ app on your device. 4. From app main screen, you need to tap on three-dot menu located at the top right corner and select the option “choose update package”. 5. Here you need to choose the MIUI 9 Recovery ROM file which you’ve copied to device storage. 6. Confirm! That’s it! The flashing process starts automatically. Once done, the Xiaomi phone automatically boots into MIUI 9 ROM. 1. Firstly, download and install Mi Flash Tool on your computer. 2. Now download MIUI 9 Fastboot ROM on your computer. 3. Turn off your device and boot into Fastboot mode. To do so, you need to power-on your device by pressing and holding “Volume Down + Power” button. 4. Once the device enters into fastboot mode, you need to connect it to PC using a standard USB cable. 5. Launch Mi Flash tool and enter the MIUI 9 ROM path into the address bar. 6. Next, you need to click on ‘Refresh’ to confirm the connection. 7. Finally, click on ‘Flash’ button to start the flashing process. 8. 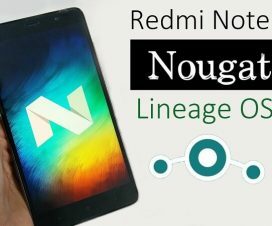 Once done, the device automatically boots into latest MIUI 9 ROM. So, that’s the simple guide on how to update Xiaomi phone to MIUI 9 ROM. If you face any kind of issues during or after the installation process, do let us know in the below comment section. Also, share the post with your friends on social networks and let them help installing MIUI 9 ROM.